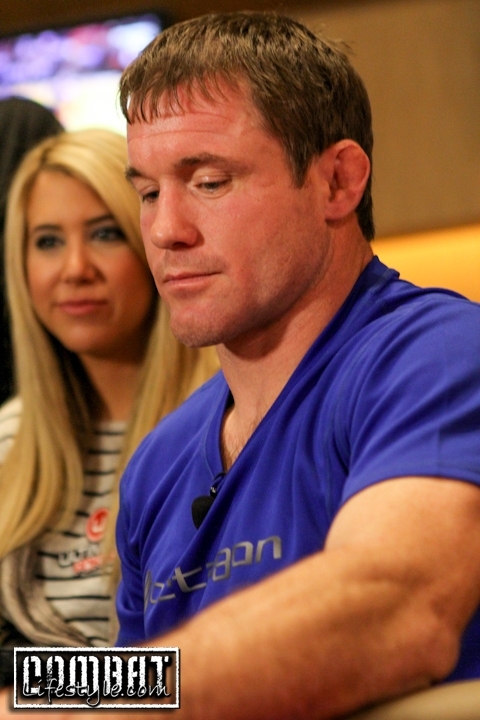 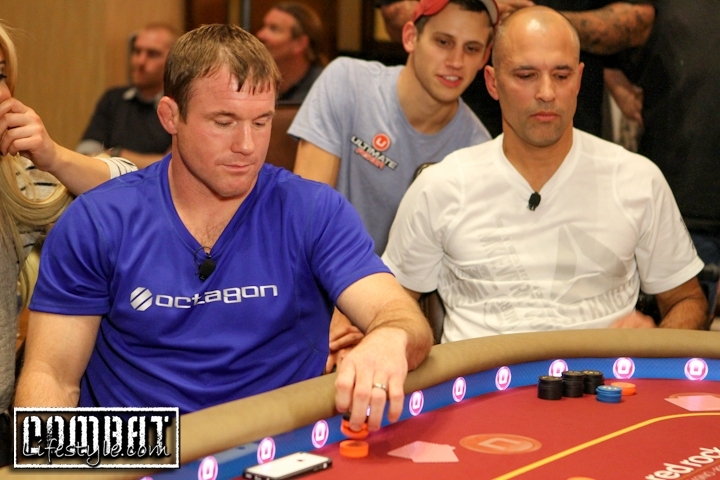 This past Friday night, Matt Hughes Defeats Royce Gracie in their Rematch. 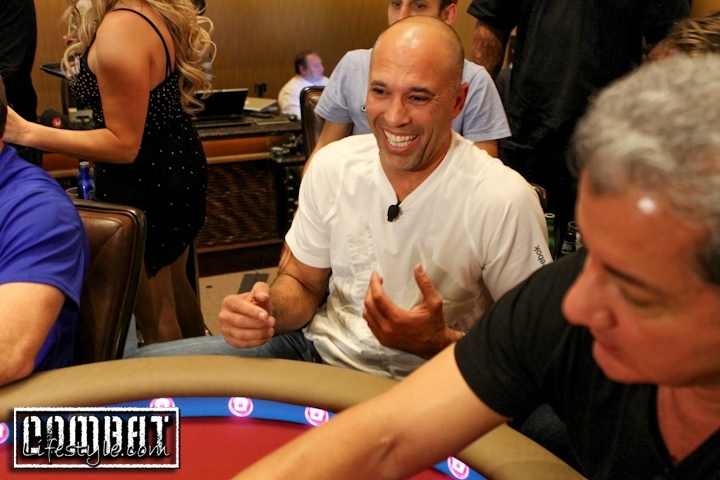 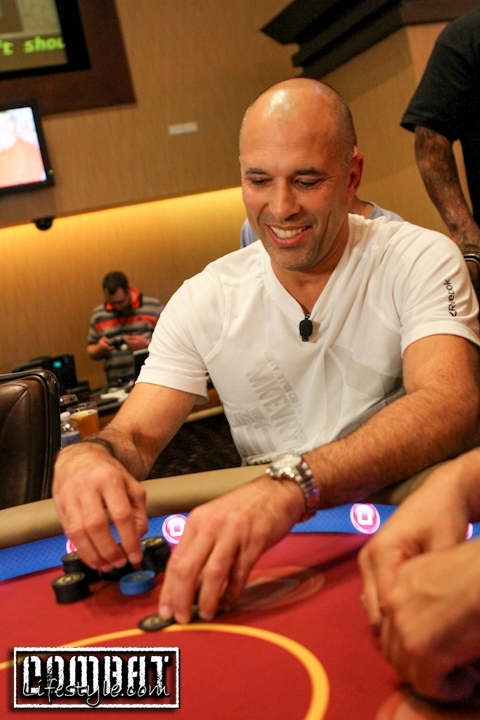 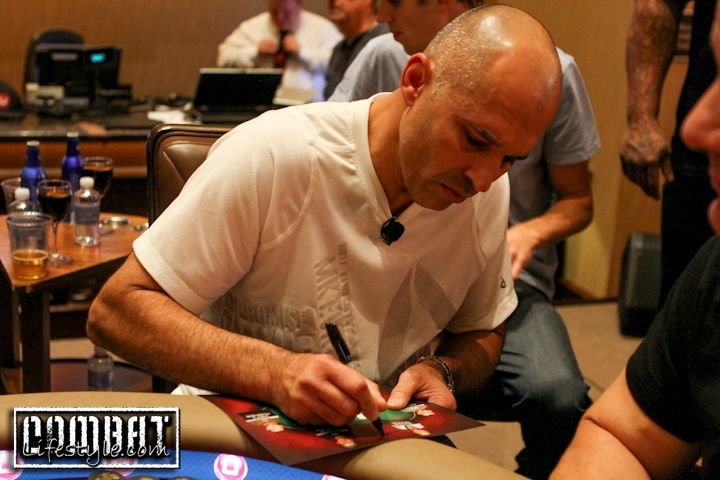 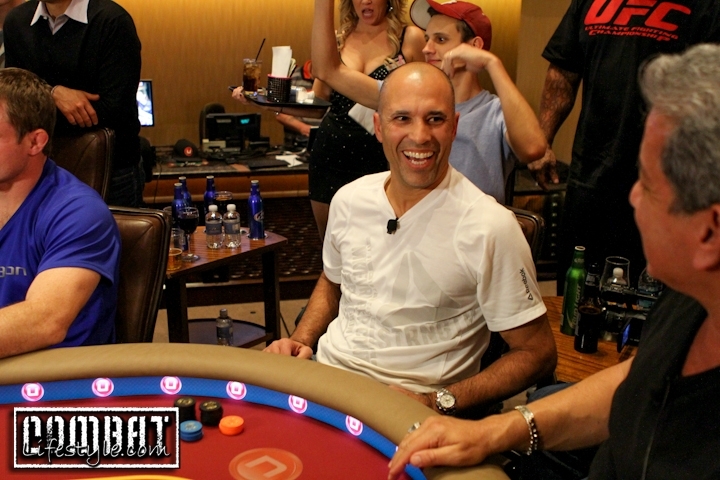 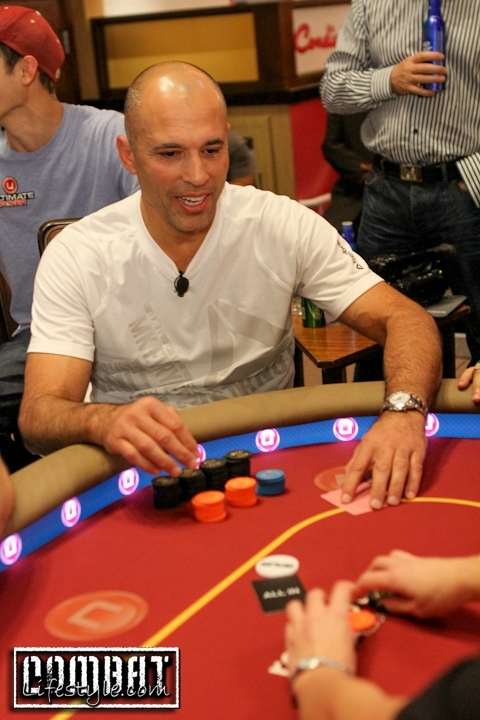 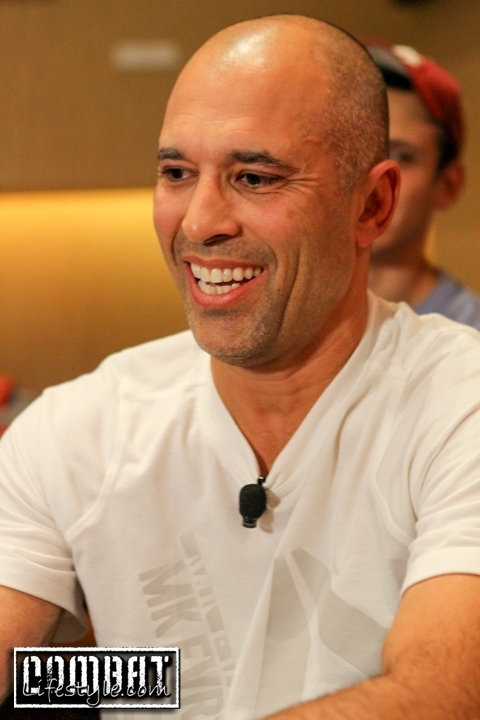 Back in 2006, Royce Gracie wanted a rematch and this past weekend he finally got it. 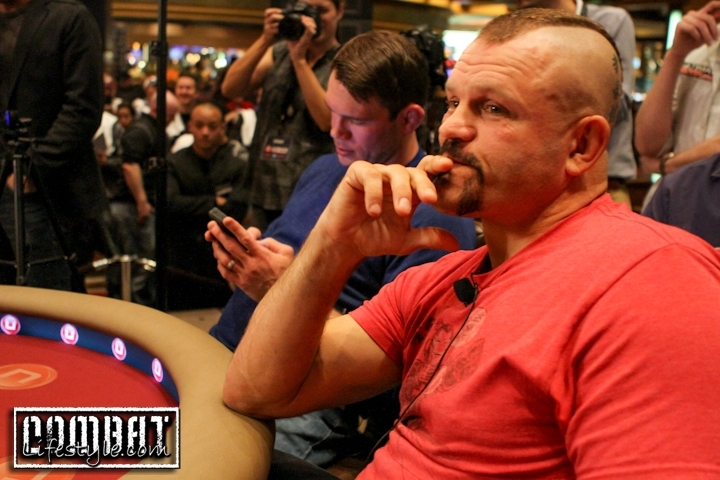 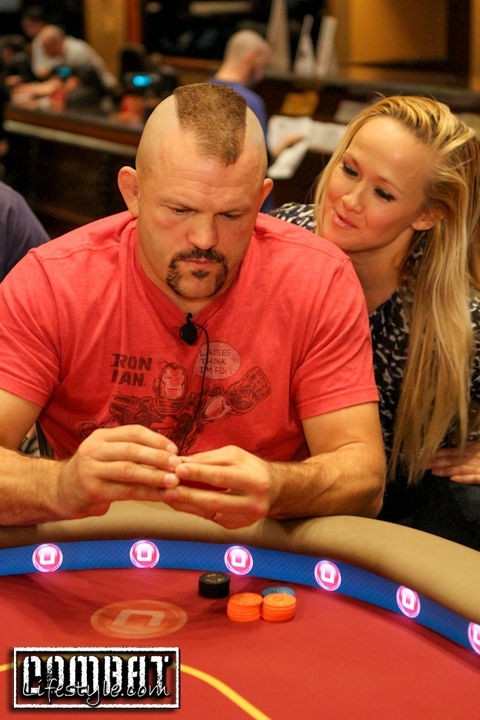 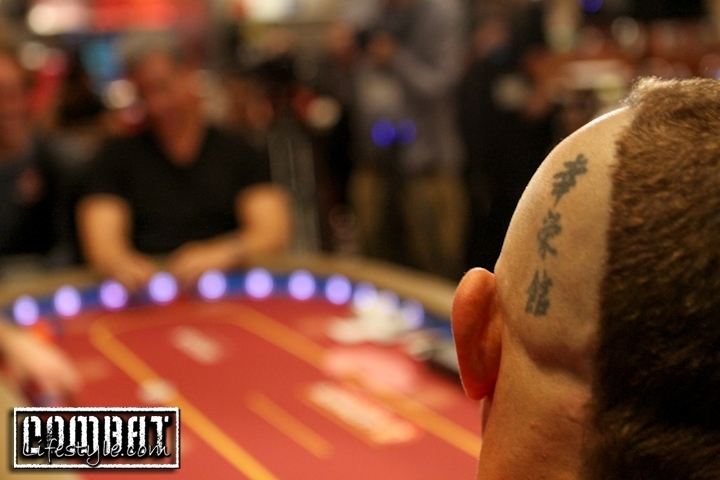 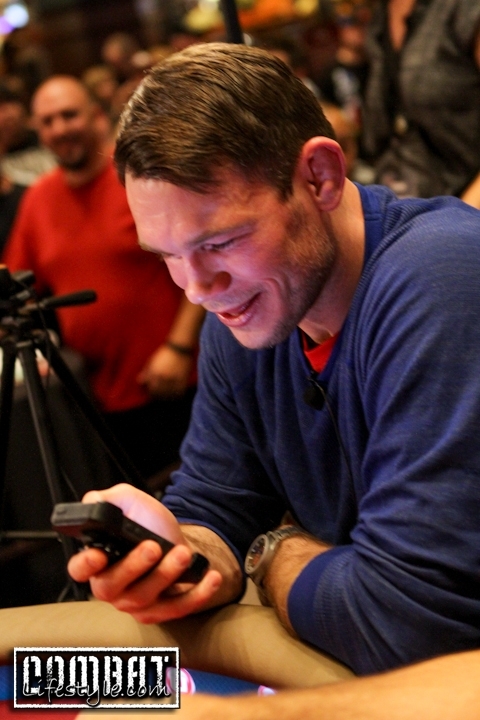 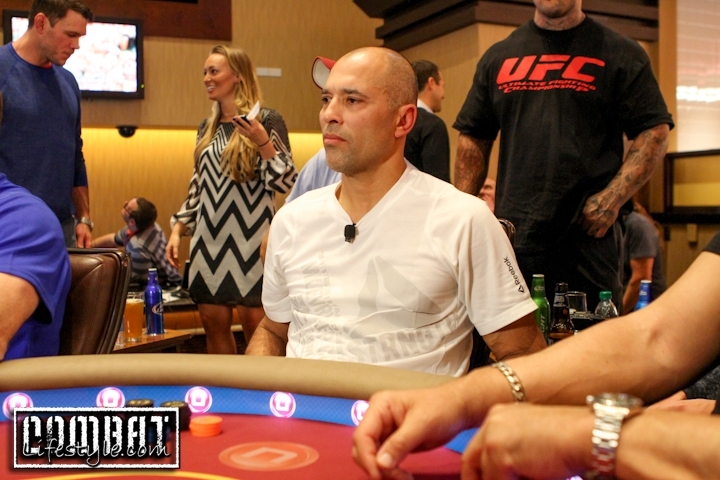 But not in the Octagon; this time it was at the poker table! 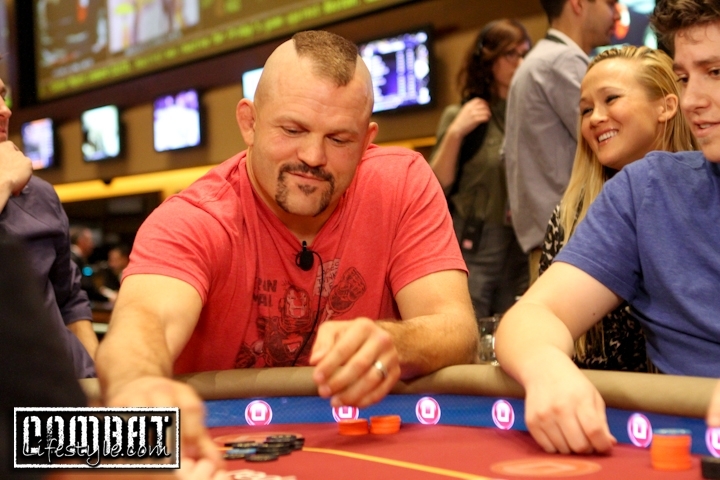 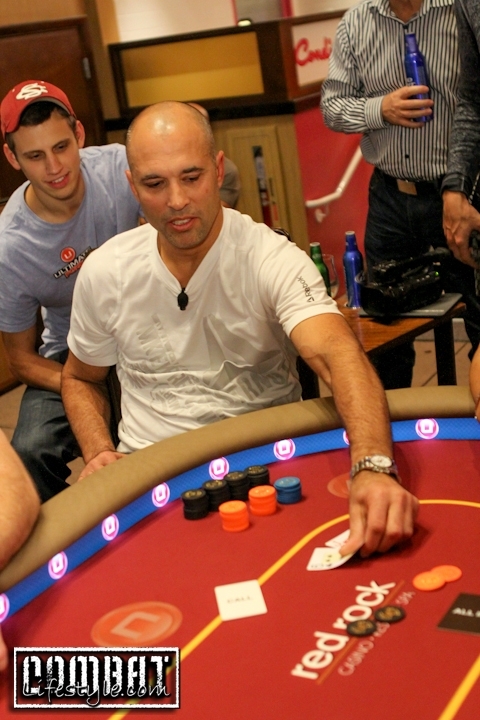 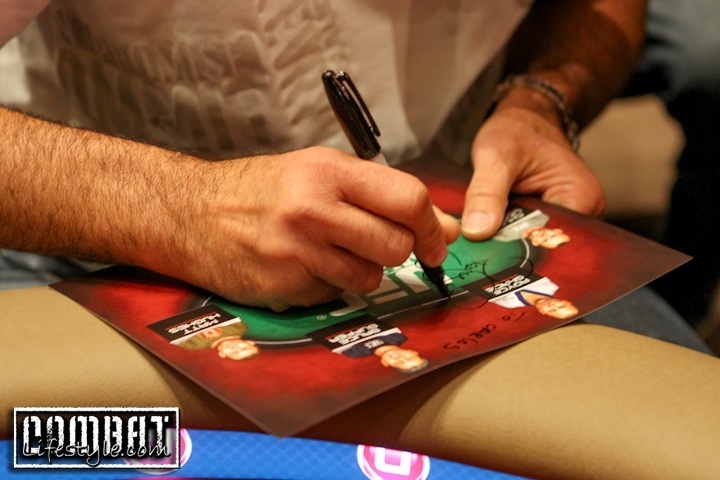 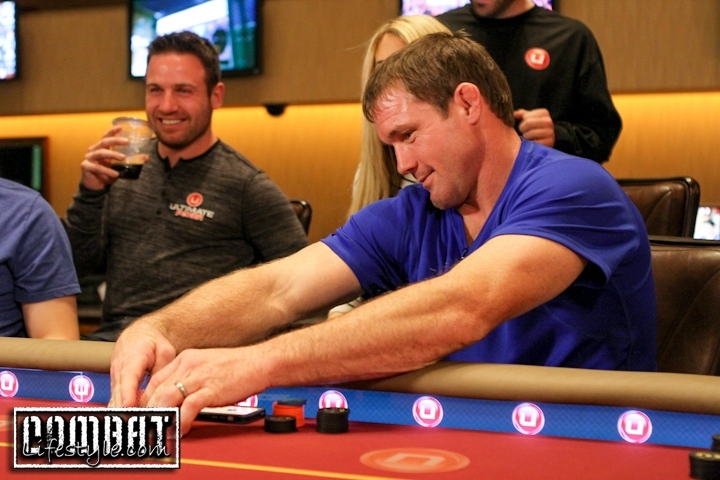 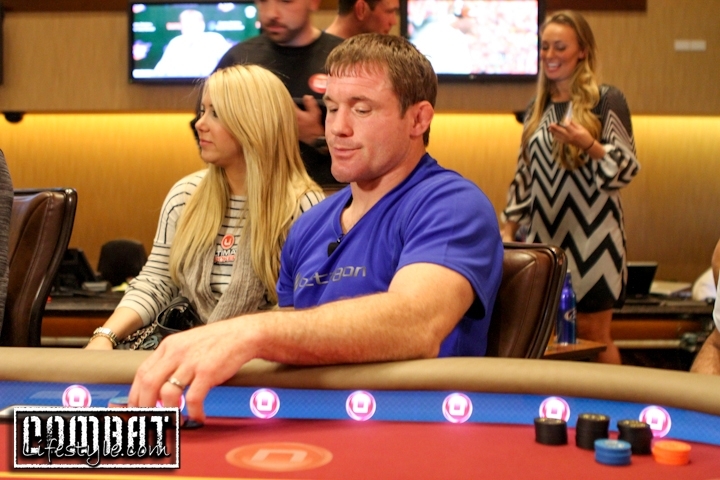 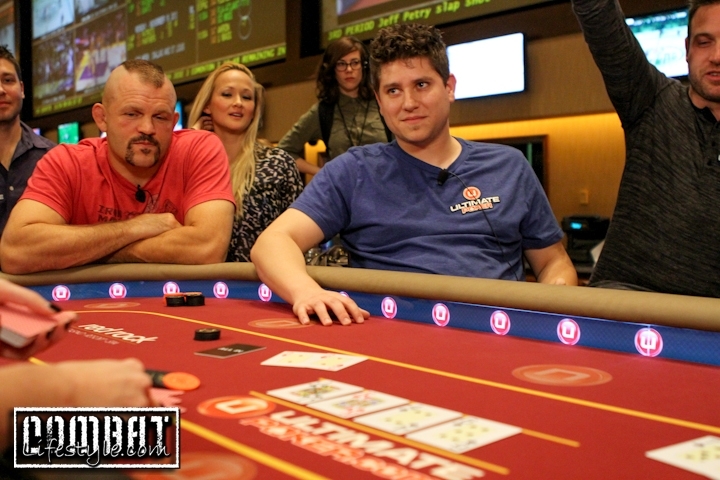 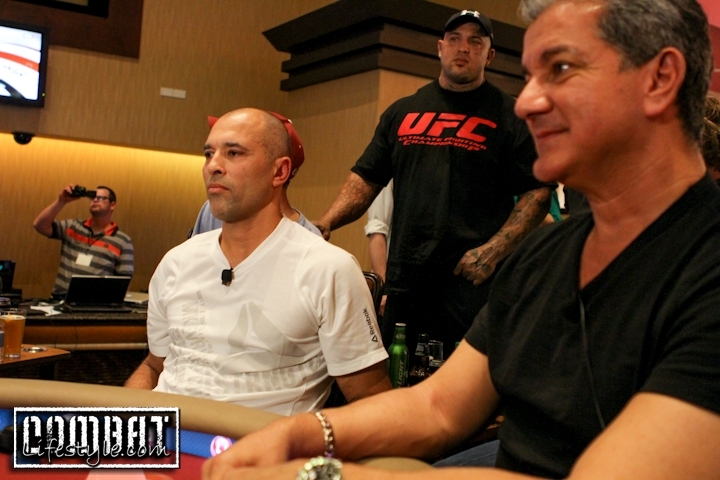 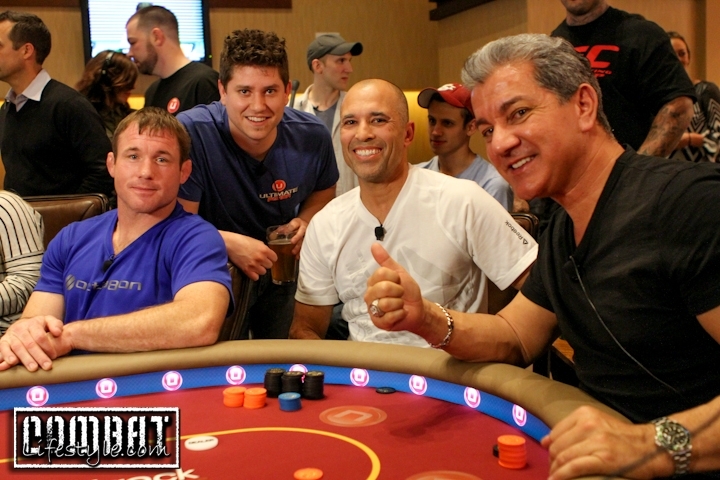 Ultimate Poker, Official Sponsor of the UFC, threw a celebrity Hall of Fame poker tournament on Friday night of UFC 167 weekend. 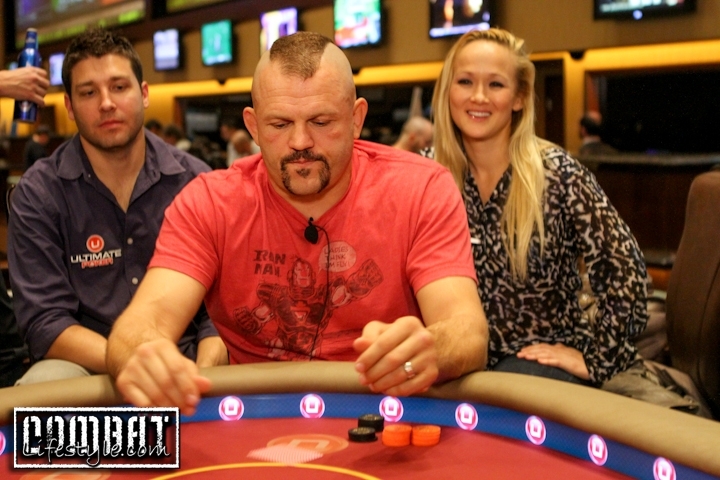 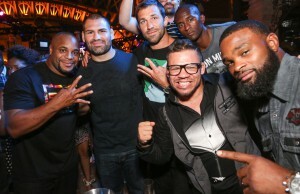 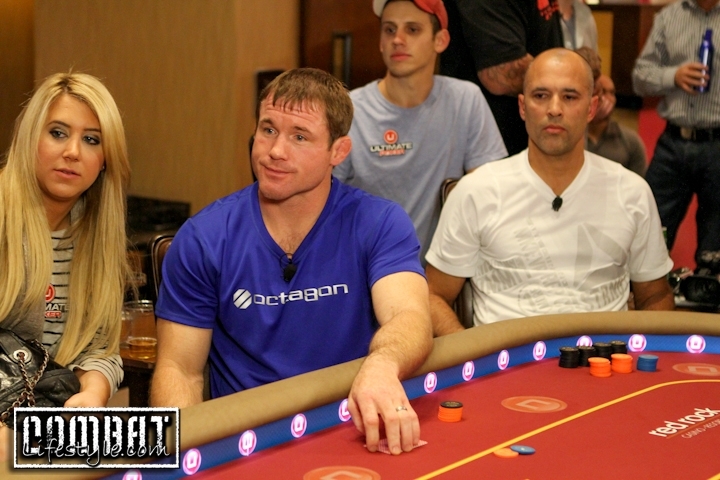 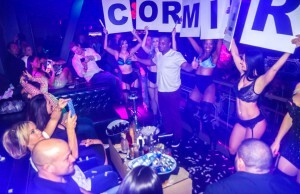 Seated at the table were Forrest Griffin, Chuck Liddell, Matt Hughes, Royce Gracie, and Bruce Buffer. 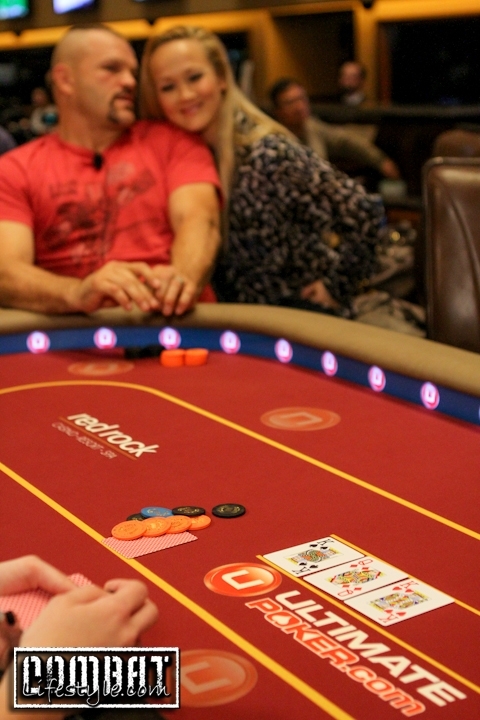 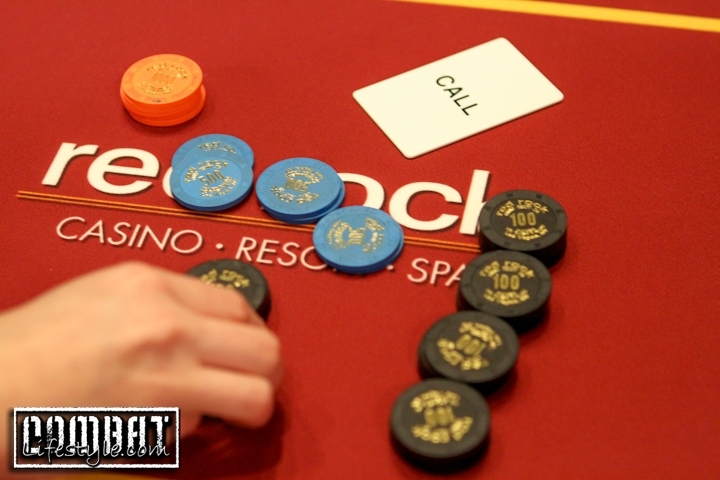 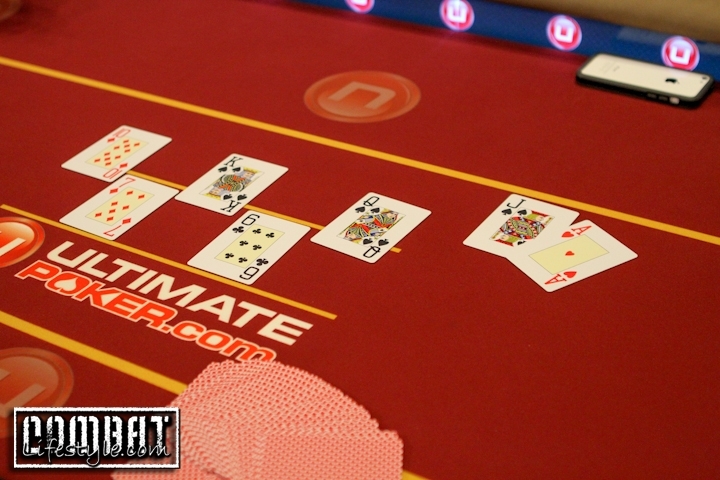 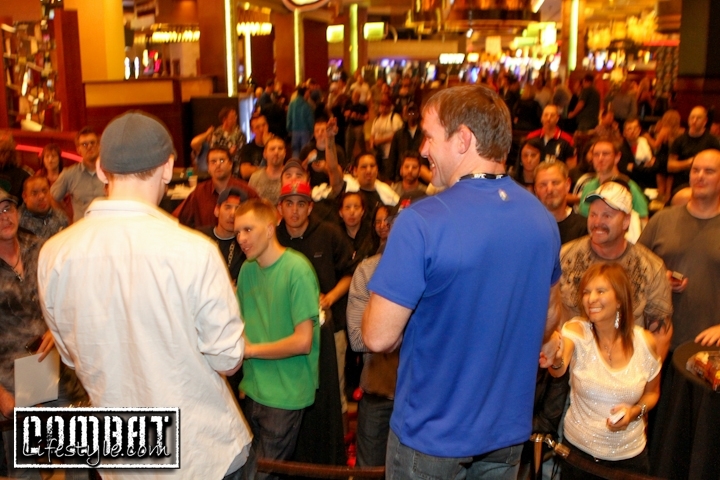 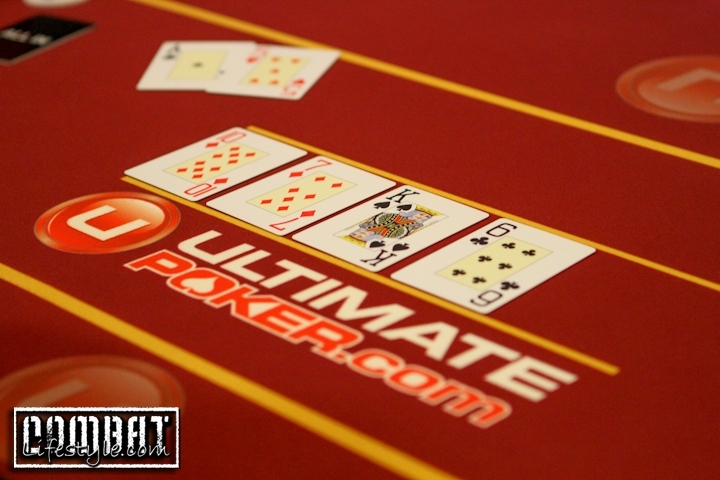 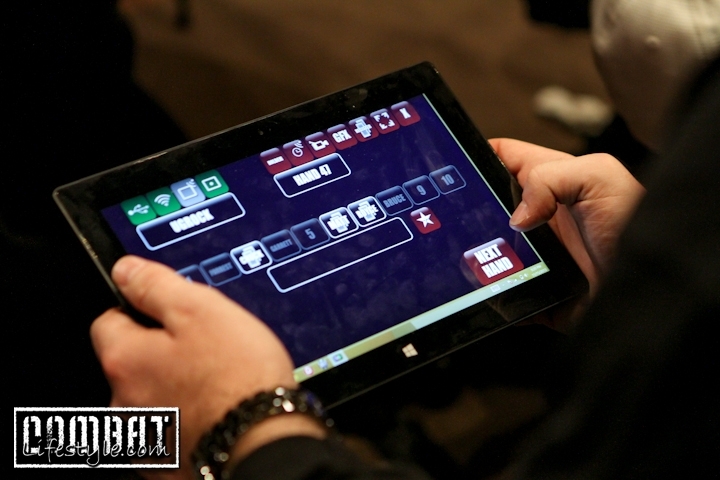 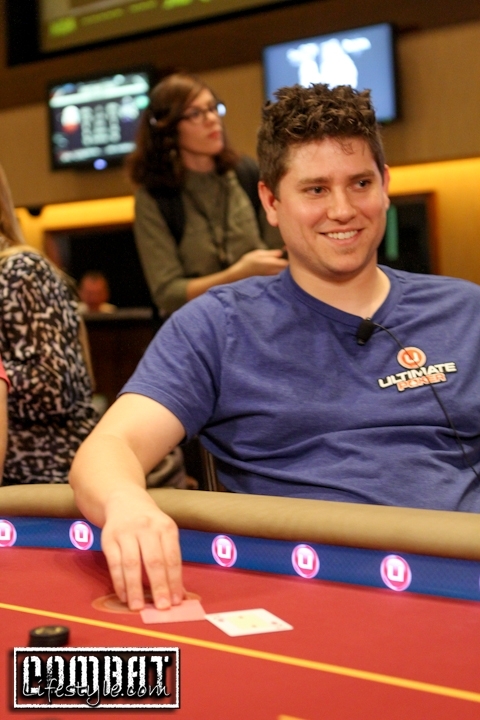 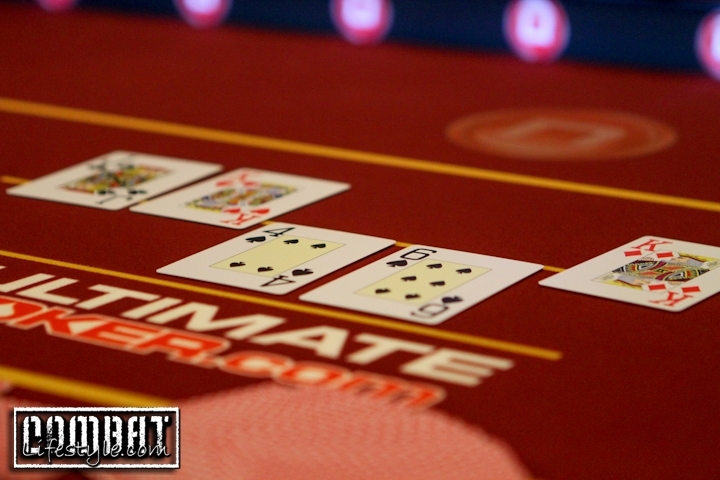 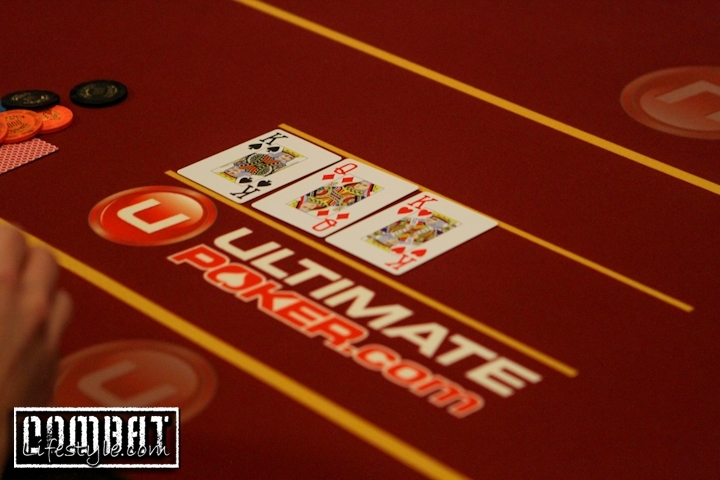 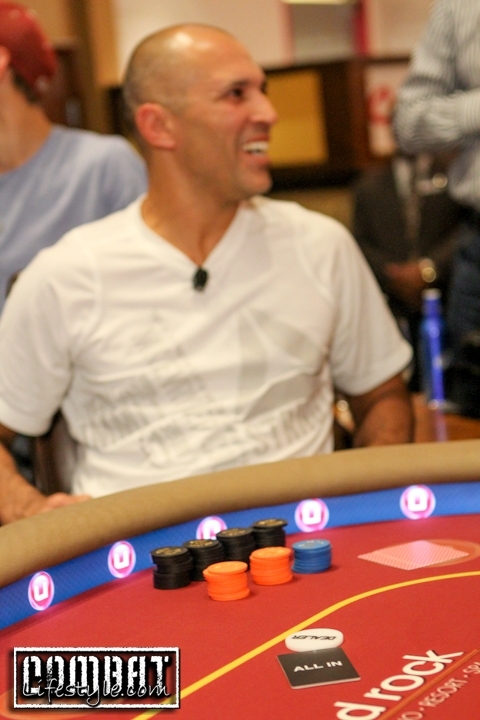 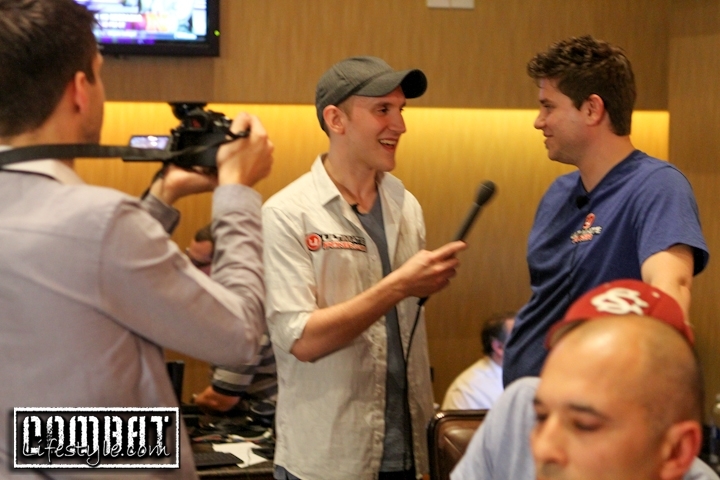 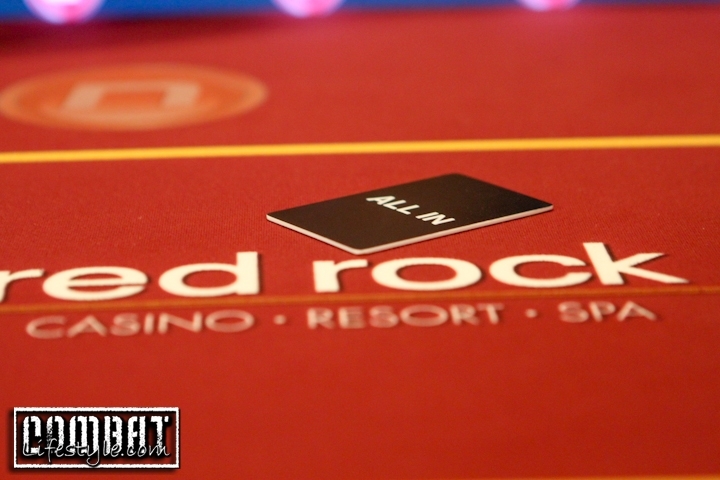 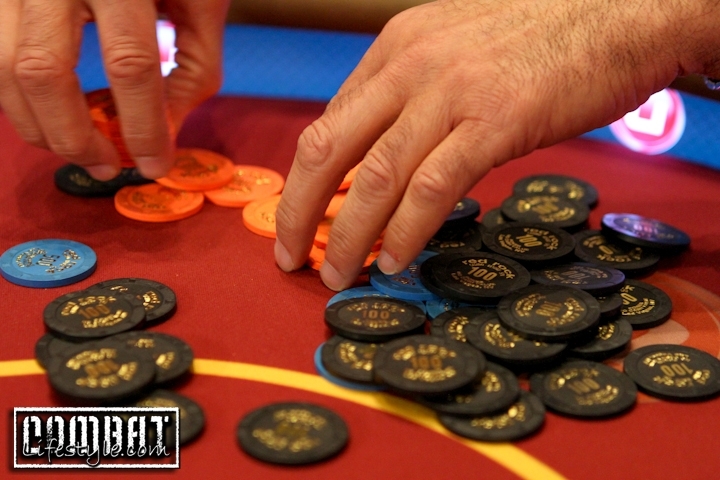 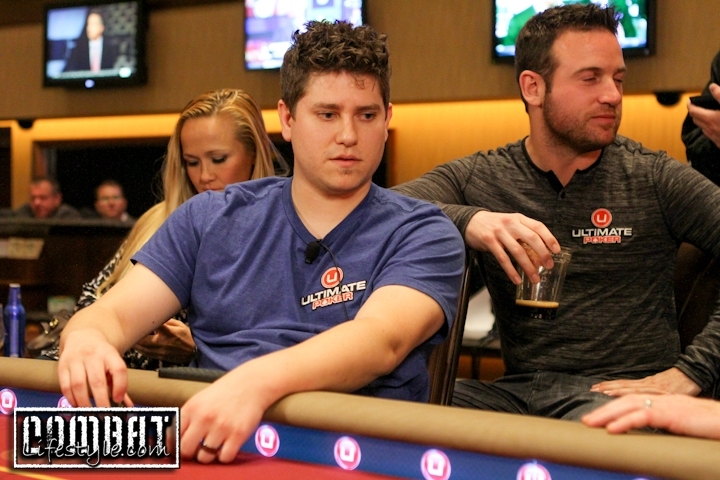 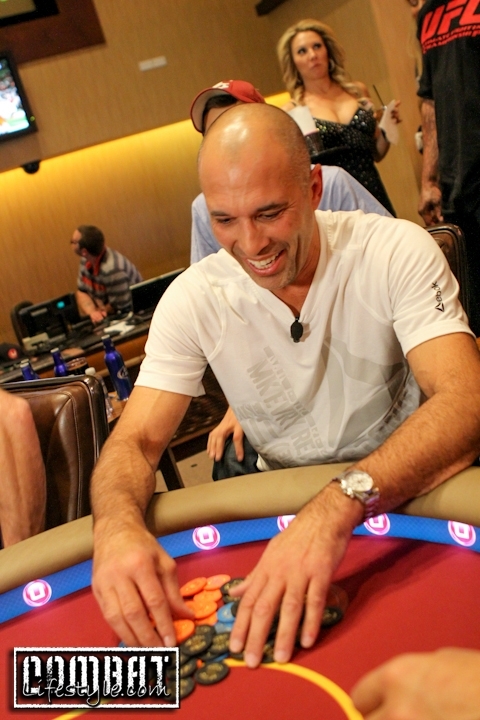 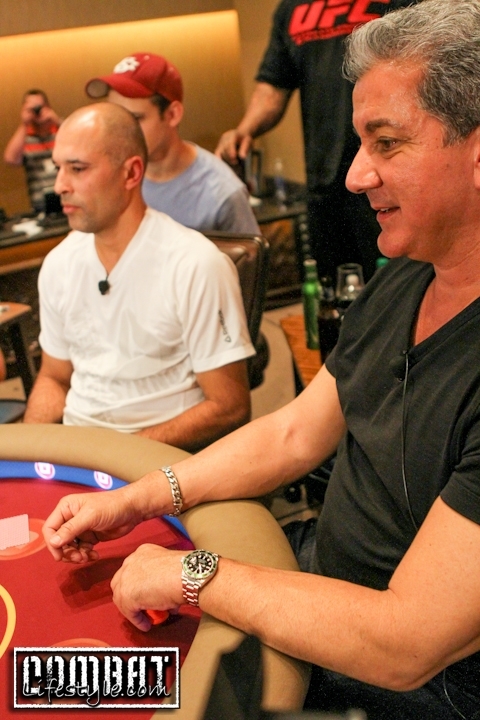 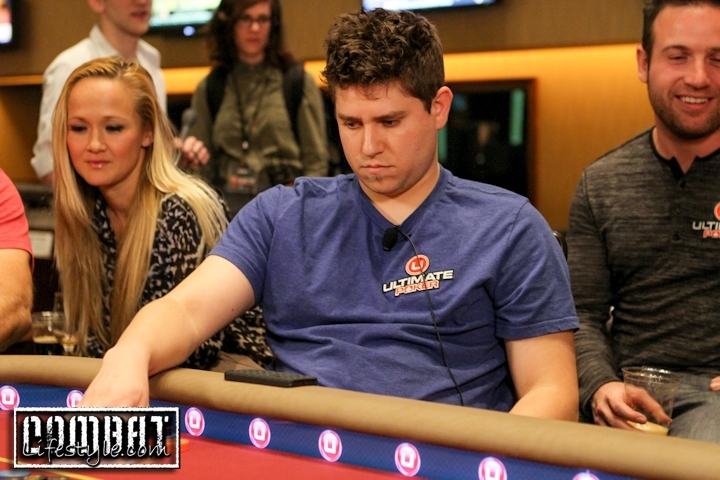 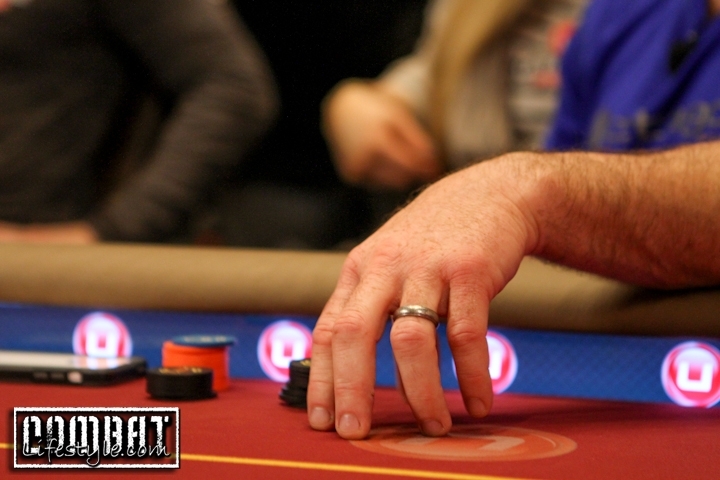 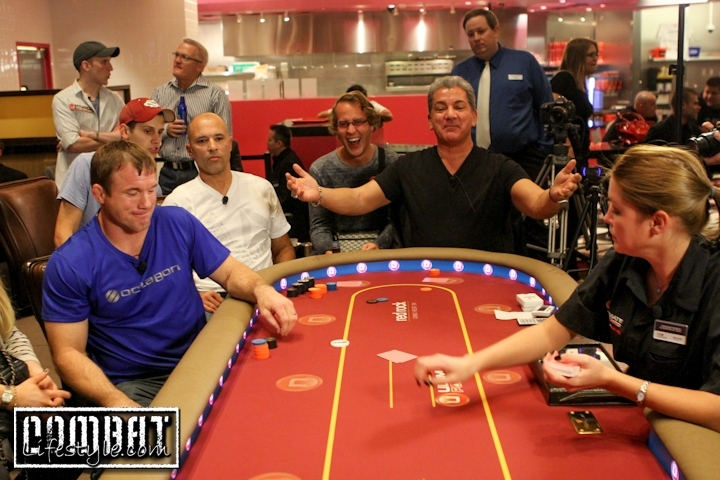 The final seat was held by Ultimate Poker Satellite FreeRoll contest winner. 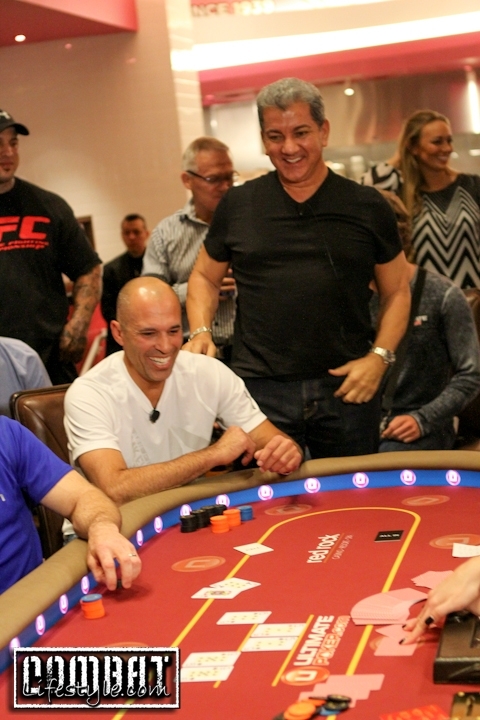 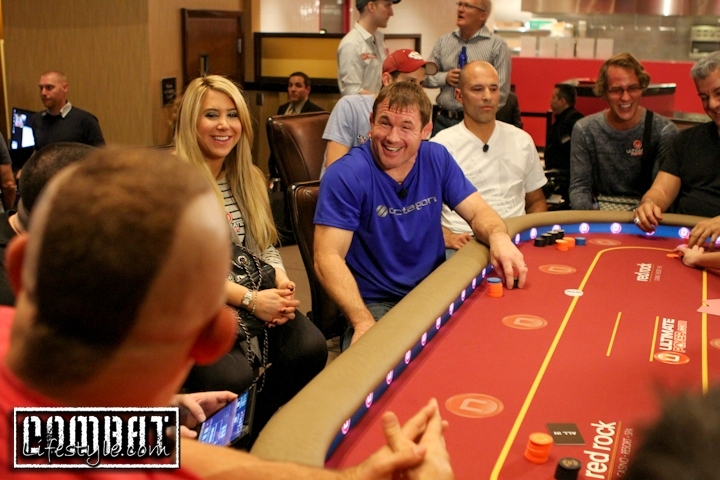 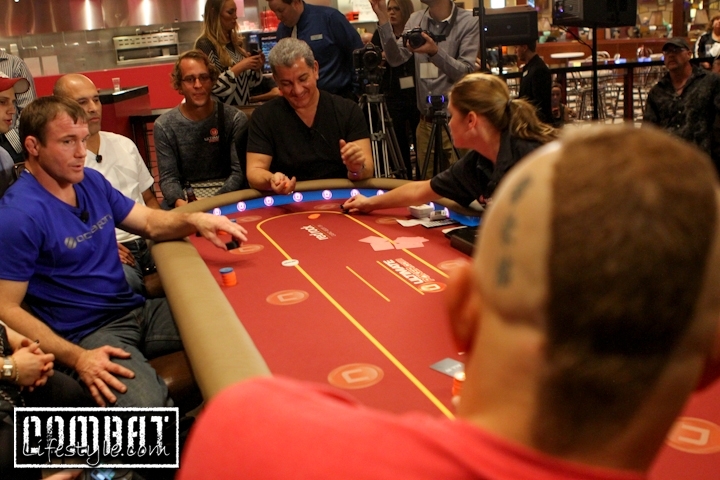 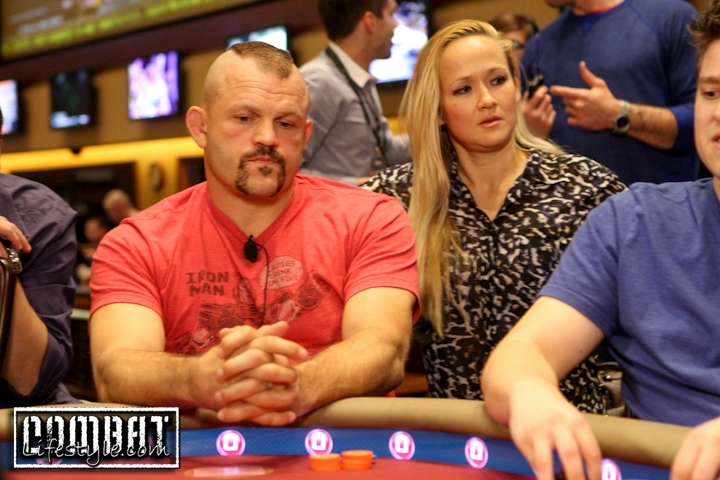 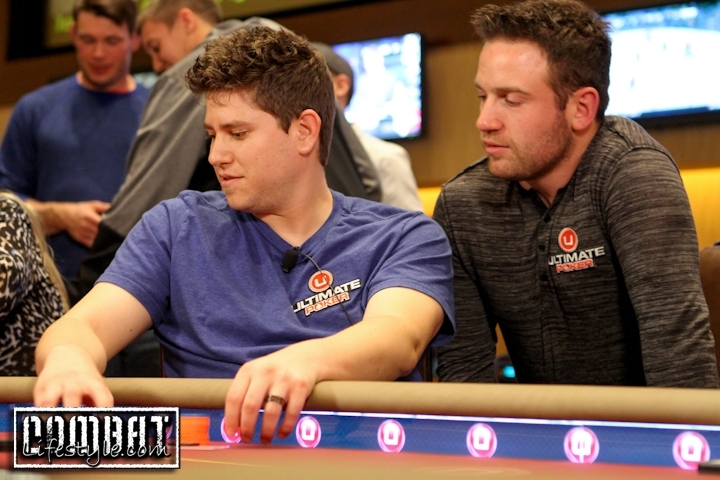 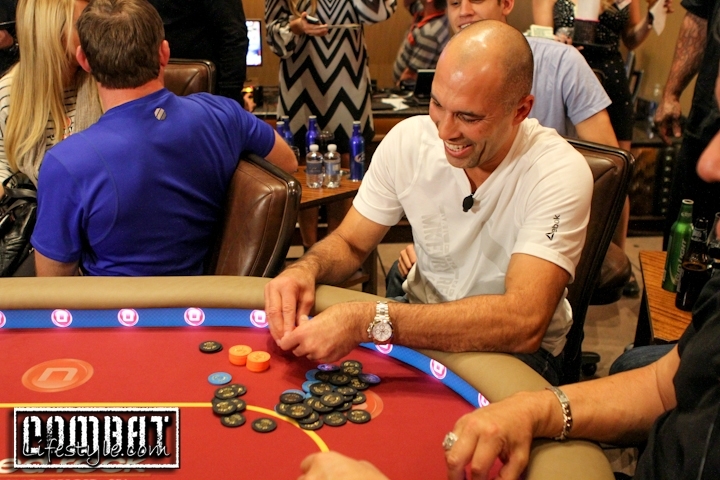 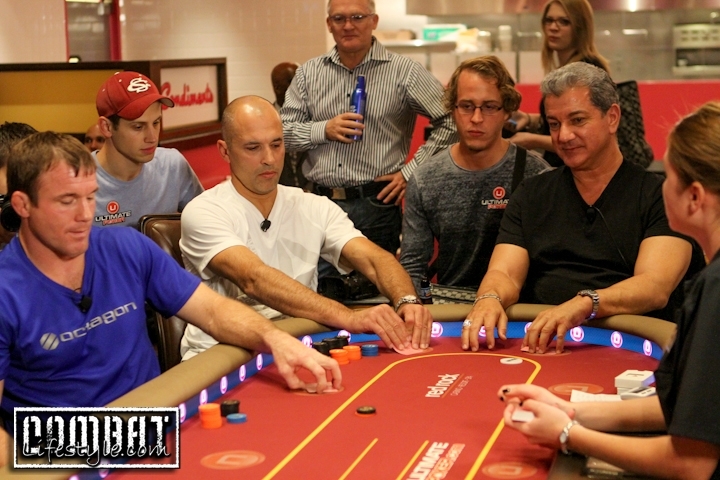 Each UFC Celebrity was coached by one of the Ultimate Poker Pro’s, Jason Somerville, William Reynolds, Brent Hanks, Phil Collins, Lauren Kling, Dan O’Brien and Jeremy Ausmus. 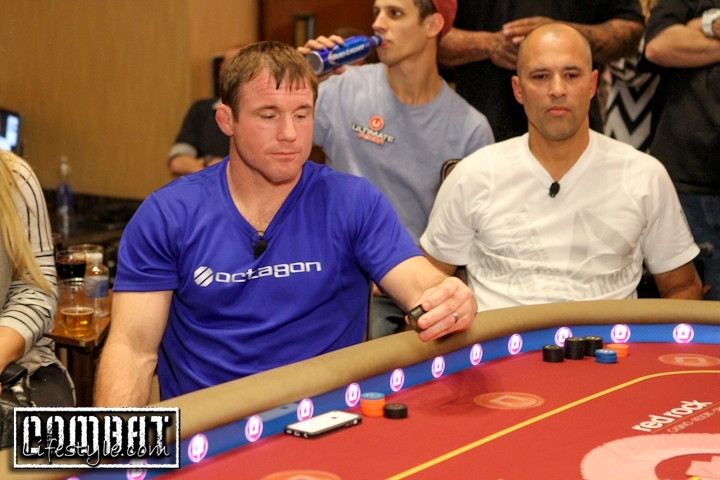 Ironically, it was down to the last two, whom had faced each other in the Octagon in 2006, Royce and Matt with Royce in the lead but Matt came up from behind and took the entire Tournament. 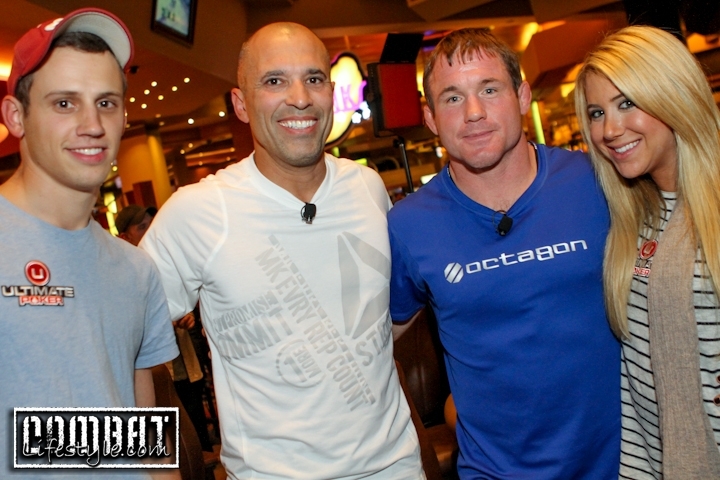 Conrgats to Matt Hughes and his coach poker pro, Lauren Kling on winning the rematch against Royce Gracie and bragging rights that go along with it as well!